ADARSHA COLLEGE OF ENGINEERING | Best Engineering College in Odisha | Mining Engineering | Degree and Diploma | Odisha | mining engineering college in india, dgms approved mining diploma institute, dgms approved mining colleges, dgms approved mining degree colleges, mining vocational training in Odisha, diploma mining approved by dgms, mining diploma colleges under dgms, mining engineering degree College in Odisha, B-Tech mining engineering College in orissa, Odisha mining engineering College, mining engineering degree college in India, Degree Engineering College at Angul, Engineering College Angul, Angul Engineering College, College of Engineering,,top 10 autonomous college in odisha,Top 10 private b.tech mining college in odisha,Top 20 private batch mining college in modish, Top 30 private batch mining college in modish, Best 10 private batch mining college in odisha, Best 20 private b.tech mining college in odisha, Best 30 private b.tech mining college in odisha, Top 10 private Diploma mining college in odisha, Top 20 private Diploma mining college in odisha, Top30 private diploma mining college in odisha, Best 10 private Diploma mining college in odisha, Best20 private b.tech mining college in odisha, Best30 private Diploma mining college in odisha, Top 10 private b.tech mining Engineering college in odisha, Top 20 private b.tech mining Engineering college in odisha, Top 30 private b.tech mining Engineering college in odisha, Best 10 private b.tech mining Engineering college in odisha, Top 10 private b.tech mining Engineering college in Orissa, Top 20 private b.tech mining Engineering college in Orissa, Best 10 private b.tech mining Engineering college in Orissa, Top 10 private Diploma mining Engineering college in odisha, Top 20 private Diploma mining Engineering college in odisha, Top 30 private Diploma mining Engineering college in odisha, Top 10 private Diploma mining Engineering college in Orissa, Top 20 private Diploma mining Engineering college in Orissa, Top 30 private Diploma mining Engineering college in odisha,Best Mining Institute in Odisha, Best Mining Diploma Institute in Odisha, Best Mining Diploma Institute in Orissa, Best Mining Institute in Orissa, Top Mining Institute in Odisha, Best Diploma Mining Institute in Odisha, Best Mining Institute in Orissa, Best Mining Degree Engineering college Odisha, Best Mining Degree Engineering college Orissa, Top Mining Degree Engineering college Odisha, Top Mining Degree Engineering college Orissa, Best Mining B.Tech Engineering college Odisha, Best Mining Degree Engineering college Orissa, Best Mining Degree B.Tech Engineering college Odisha, Best Mining Degree B.Tech Engineering college Odisha, Best Mining Degree Engineering college Orissa, list of odisha btech college, list of Orissa b.tech college, list of odisha b.tech mining college, list of odisha diploma mining college, list of odisha b.tech mining college, list of Orissa b.tech mining college, list of odisha Diploma mining college, list of b.tech mining Institute in Orissa, list of b.tech mining Institute in Odisha, list of Diploma mining Institute in Orissa, list of Degree mining Institute in Orissa, AICTE approved Mining Degree college in Odisha, AICTE approved Mining Degree college in Orissa, AICTE approved Mining Diploma college in Odisha, AICTE approved Mining Diploma college in Orissa, AICTE approved Mining Degree college in Odisha, AICTE approved Mining Degree college in Orissa, SCTEVT Mining Diploma college in Odisha, SCTEVT Mining Diploma college in Orissa, BPUT Affiliated Mining Degree college in Odisha, , BPUT Affiliated Mining Degree college in Orissa, BPUT Affiliated Mining B.Tech college in Odisha, , BPUT Affiliated Mining Degree college in Orissa, top b tech mining colleges in india, top Degree mining colleges in india, Best b tech mining colleges in india, Best Degree mining colleges in india, top10 b tech mining colleges in india, top20 b tech mining colleges in india, top b tech mining engineering colleges in india, Best b tech mining Engineering colleges in india, top10 b tech mining engineering colleges in india, top20 b tech mining engineering colleges in india. No.1 b tech mining Engineering college in india, No.1 b tech mining Engineering college in Odisha, No.1 b tech mining Engineering college in Orissa, No.1 b tech mining Engineering college in india. Adarsha College of Engineering is one of the top and the best mining engineering college in India that has been approved by Directorate General of Mines Safety (DGMS). Adarsha College of Engineering offers top quality of education for both Degree and Diploma streams. 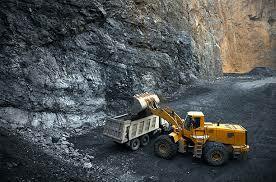 DGMS is the Indian Government Regulatory agency for safety in mines and oil-fields. Not just anyone can get this approval, for this, all round development, infrastructure, quality of education and lab facilities should be of standard quality. ACE offers various other streams to both B. 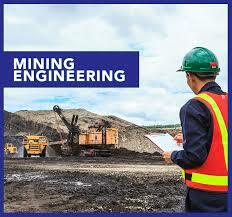 Tech and Diploma streams, but the mining engineering is the most advanced and prominent branch of our college. The discipline of Mining Engineering is unique to Adarsha College of Engineering among the mining engineering colleges in India. It was founded in 2009; the department offers Diploma and B.Tech/Degree programmes. Adarsha is situated in Angul district of Odisha and located within the 50 kilometers radius of MCL (Mahanadi coal fields). 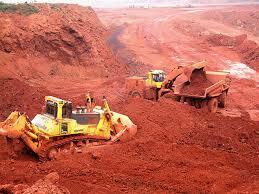 It is also nearer to Asia's largest iron ore mines which located at Keonjhar, Odisha. Here you will get lots of opportunities for vocational training in nearby mines (within 30 Kilometers of radius). The Department of Mining Engineering, Adarsha College of Engineering, in fact is one of the top and the best mining engineering college in Odisha, India that has been recognized by DGMS (Directorate General of Mines Safety). Approved by AICTE, New Delhi and affiliated to BPUT, Rourkela, Orissa. The department of mining engineering at Adarsha College of Engineering is now one of the biggest in the Odisha with all facilities related to Mining Engineering. The Department is divided into six divisions with laboratories well equipped with both conventional and modern facilities. Facilities have been developed for research in collaboration with mining industry in dealing with their practical problems and also problems of fundamental nature. Below given are the major divisions of the department. B. Tech & Diploma in mining engineering program emphasizes on integrative aspects of both science and engineering. 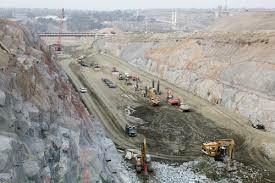 As you know Mining Engineering is an engineering discipline that needs practice, theory, science, technology, and practical knowledge for the extraction and processing of ore. We provide vocational training in nearby mines to accomplish the main motive of getting better practical knowledge. Mining engineering not only includes the extraction of iron or coal but mineral extraction also comes under this category. Mineral extraction and production are quite important as per modern society and with growth of industrialization has opened a glorious gate for future for the students of this branch. Adarsha College of engineering is not only the best mining engineering college for Degree but also for Diploma discipline in Odisha. Our educational programs include areas that are quite essential for understanding the complications of Mining Engineering like Mining mechanization, Mine-surveying, role of Robotics Engineering and much more. The program also introduces the students to emerging conditions and situations related to study of mine environment, mineral quality analytics, sustainable mining-engineering, open-cast coal/ iron/ aluminum/ potash/ fluorite/ and other industrial minerals. The course for Diploma and B. Tech students' arms them with the tactics and skills that are required have a bright future in the mining-engineering industry. The courses are designed in such a way that they provide in-depth knowledge and concepts and techno-commercial aspects so that the students walk out from college as well trained and competent engineers that are ready to enter the mining-engineering industry to take leadership. 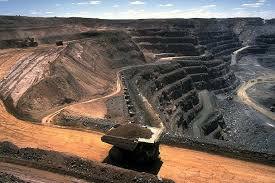 Mining Engineering is needed for mineral extraction and other fields where the earth's crust is utilized. It deals in drilling and blasting, materials handling, rock mechanics and safety, mine ventilation, mine cost engineering, ore reserve analysis, operation analysis, mine planning and minerals processing. The construction industries with its requirements of developing roads, rail-roads, tunnels & underground chambers and hazardous waste disposal industry are examples of such applications. These are rapidly expanding needs with shortage of qualified people; the Mining Engineering is in great demand to undertake these tasks. No need to say that the job marketing of Mining Engineering is of high demand in the present time and our area is full of mines and industries to build your career. Mine First Aid Certificate is the first certificate which is to be taken by a Mining student. Nobody is eligible for mining job in India without having mine First Aid certificate. Mine First Aid course is an introductory course suited to all personnel across all work sectors in surface mining environments. The Mine First Aid course focuses on providing the theoretical and practical skills essential to First Aid management in a mining environment. First aid is the assistance given to any person suffering a sudden illness or injury, with care provided to preserve life, prevent the condition from worsening, or to promote recovery .It is the recommendation in the “First Aid in the workplace” Code of Practice July 2012 that a workplace First Aider should renew their First Aid certificate every three years. However CPR should be undertaken every year. Adarsha College of Engineering (ACE) and Adarsha School of Engineering & IP (ASEIP) are conducting Mining First Aid Training with examination for the students and providing First Aid Certificates to them under St. John Ambulance. ACE is an authorized center for First Aid Training with qualified trainer, permitted by St. John Ambulance .Interested students are required to give application to the HOD/Principal for batch wise training. As per Mines Act 1952, persons holding Degree in Mining Engineering from any recognised University have been exempted from passing Second Class Mine Manager's Certificate of Competency examination. Similarly persons holding Diploma or Merit Certificate in Mining have been exempted from passing Overman's Certificate of Competency examination. 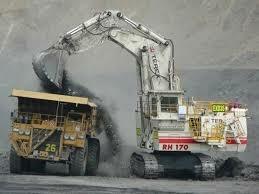 There is a huge demand of mining engineers over a relatively small amount of skilled mining engineers. It has both national and global job market. Mining Engineers find employment opportunities both in government as well as private sector. In coal mines, after completing a Diploma in Mining Engineering you will be hired as Mining Sirdar and after getting a bachelors degree in Mining Engineering you can easily start with the rank of Undermanager. There are lots of companies like ONGC, Coal India, Geological Survey of India, HCL, IPCL, Neyvelli, Lignite Crop, NALCO, Tata Steel, Tata Motors, Reliance, Adani, Vedanta mines, etc. have their recruitment session throughout the year. It is the job of a mining engineer to ensure the safe and efficient development of mines and other surface and underground work. They have to understand the effects of these mining structures on their surrounding environment. Before a new site is developed Mining engineers are involved at all stages of a project, they assess its viability and assist with planning the mine's structure. •	Responsible in the development of mine plans,methods,design,and materials handling. •	Provide specialist technical input into team project work. •	Provide input and evalution into reserve and resource estimates. •	Develop or bring forward ,as appropriate,industry best practices and new technologies. •	Prepare and review project proposal ,studies and technical reports. •	Oversee the cost effective,safe and timely completion of project that meet or exceed expectations. •	Travel to side and head office as needed. b. Minimum age 16 years at the date of 1st July 2017. VI. Conduct certificate from the head of the institution last attended. b.	JEE-Main /OJEE(Odisha JEE)Rank Holder. 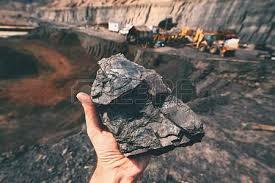 c.	Minimum age 16 years for B.Tech Mining, Maximum Age No bar. VII. Conduct certificate from the head of the institution last attended. The college offers facilities for First –Aid training and examination at its own centre and a valid first-Aid Certificate of the Standard of St. John Ambulance Associated is provided to each candidate. The college has a well equipped gas-testing chamber where the student get through practice for gas-testing. The Institute has a well furnished and spacious library with rich collection of books on Mining Diploma,Mining B-Tech, other engineering and subjects. It also subscribe to various magazines, periodical and newspapers for use of students and the staff. Download Fast Aid letter Through Adarsha College of Engineering Centre. 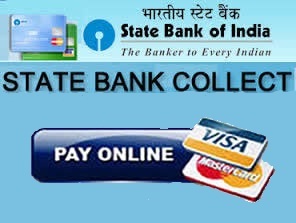 Degree best engineering college in India | best private engineering college in India | best b.tech college in India | best private b.tech college in India | best engineering college in Odisha | best engineering college in Orissa | best private engineering college in Orissa | best private engineering college in Odisha | best b.tech college in Odisha | best b.tech college in Orissa | best placement providing engineering colleges in Orissa | best placement providing engineering colleges in Odisha | best 10 Placement providing engineering colleges in Odisha | best 10 Placement providing engineering colleges in Orissa | top engineering college in India | top private engineering college in India | top b.tech college in India | top private b.tech college in India | top engineering college in Odisha | top engineering college in Orissa | top private engineering college in Orissa | top private engineering college in Odisha | top b.tech college in Odisha | top b.tech college in Orissa | top placement providing engineering colleges in Orissa | top placement providing engineering colleges in Odisha | top 10 Placement providing engineering colleges in Odisha | top 10 Placement providing engineering colleges in Orissa | direct admission in engineering college | direct admission in engineering colleges Odisha | direct admission in engineering colleges Orissa | admission in engineering college India | admission in engineering college Odisha | admission in engineering college Orissa | bput affiliated engineering college in India | bput affiliated engineering colleges in Odisha | bput affiliated engineering colleges in Orissa | mining engineering colleges in india | mining b.tech college in india | mining b.tech college in Odisha | mining b.tech college in Orissa | best mining engineering colleges in India | best dgms approved mining colleges in india | mining engineering colleges in Odisha | best mining engineering colleges in Odisha | best dgms approved mining colleges in Odisha | mining engineering colleges in Orissa | best mining engineering colleges in Orissa | best dgms approved mining colleges in Orissa | top mining engineering colleges in India | top dgms approved mining colleges in india | mining engineering colleges in Odisha | top mining engineering colleges in Odisha | top dgms approved mining colleges in Odisha | mining engineering colleges in Orissa | top mining engineering colleges in Orissa | top dgms approved mining colleges in Orissa | aicte approved mining colleges in India | aicte approved mining colleges in Odisha | aicte approved mining colleges in Orissa | mechanical engineering colleges in india | mechanical b.tech college in india | mechanical b.tech college in Odisha | mechanical b.tech college in Orissa | best mechanical engineering colleges in India | mechanical engineering colleges in Odisha | best mechanical engineering colleges in Odisha | mechanical engineering colleges in Orissa | best mechanical engineering colleges in Orissa | top mechanical engineering colleges in India | mechanical engineering colleges in Odisha | top mechanical engineering colleges in Odisha | mechanical engineering colleges in Orissa | top mechanical engineering colleges in Orissa | aicte approved mechanical colleges in India | aicte approved mechanical colleges in Odisha | aicte approved mechanical colleges in Orissa | electrical engineering colleges in india | electrical b.tech college in india | electrical b.tech college in Odisha | electrical b.tech college in Orissa | best electrical engineering colleges in India | electrical engineering colleges in Odisha | best electrical engineering colleges in Odisha | electrical engineering colleges in Orissa | best electrical engineering colleges in Orissa | top electrical engineering colleges in India | electrical engineering colleges in Odisha | top electrical engineering colleges in Odisha | electrical engineering colleges in Orissa | top electrical engineering colleges in Orissa | aicte approved electrical colleges in India | aicte approved electrical colleges in Odisha | aicte approved electrical colleges in Orissa | civil engineering colleges in india | civil b.tech college in india | civil b.tech college in Odisha | civil b.tech college in Orissa | best civil engineering colleges in India | civil engineering colleges in Odisha | best civil engineering colleges in Odisha | civil engineering colleges in Orissa | best civil engineering colleges in Orissa | top civil engineering colleges in India | civil engineering colleges in Odisha | top civil engineering colleges in Odisha | civil engineering colleges in Orissa | top civil engineering colleges in Orissa | aicte approved civil colleges in India | aicte approved civil colleges in Odisha | aicte approved civil colleges in Orissa | computer Science(CSE) engineering colleges in india | computer Science(CSE) b.tech college in india | computer Science(CSE) b.tech college in Odisha | computer Science(CSE) b.tech college in Orissa | best computer Science(CSE) engineering colleges in India | computer Science(CSE) engineering colleges in Odisha | best computer Science(CSE) engineering colleges in Odisha | computer Science(CSE) engineering colleges in Orissa | best computer Science(CSE) engineering colleges in Orissa | top computer Science(CSE) engineering colleges in India | computer Science(CSE) engineering colleges in Odisha | top computer Science(CSE) engineering colleges in Odisha | computer Science(CSE) engineering colleges in Orissa | top computer Science(CSE) engineering colleges in Orissa | aicte approved computer Science(CSE) colleges in India | aicte approved computer Science(CSE) colleges in Odisha | aicte approved computer Science(CSE) colleges in Orissa | electronics & communication(ECE) engineering colleges in india | electronics & communication(ECE) b.tech college in india | electronics & communication(ECE) b.tech college in Odisha | electronics & communication(ECE) b.tech college in Orissa | best electronics & communication(ECE) engineering colleges in India | electronics & communication(ECE) engineering colleges in Odisha | best electronics & communication(ECE) engineering colleges in Odisha | electronics & communication(ECE) engineering colleges in Orissa | best electronics & communication(ECE) engineering colleges in Orissa | top electronics & communication(ECE) engineering colleges in India | electronics & communication(ECE) engineering colleges in Odisha | top electronics & communication(ECE) engineering colleges in Odisha | electronics & COMMUNICATION (ECE) engineering colleges in Orissa | top electronics & communication(ECE) engineering colleges in Orissa | aicte approved electronics & COMMUNICATION (ECE) colleges in India | aicte approved electronics & communication(ECE) colleges in Odisha | aicte approved electronics & communication(ECE) colleges in Orissa | electrical & electronics(EEE) engineering colleges in india | electrical & electronics(EEE) b.tech college in india | electrical & electronics(EEE) b.tech college in Odisha | electrical & electronics(EEE) b.tech college in Orissa | best electrical & electronics(EEE) engineering colleges in India | electrical & electronics(EEE) engineering colleges in Odisha | best electrical & electronics(EEE) engineering colleges in Odisha | electrical & electronics(EEE) engineering colleges in Orissa | best electrical & electronics(EEE) engineering colleges in Orissa | top electrical & electronics(EEE) engineering colleges in India | electrical & electronics(EEE) engineering colleges in Odisha | top electrical & electronics(EEE) engineering colleges in Odisha | electrical & electronics(EEE) engineering colleges in Orissa | top electrical & electronics(EEE) engineering colleges in Orissa | aicte approved electrical & electronics(EEE) colleges in India | aicte approved electrical & electronics(EEE) colleges in Odisha | aicte approved electrical & electronics(EEE) colleges in Orissa, mining engineering college in india, dgms approved mining diploma institute, dgms approved mining colleges, dgms approved mining degree colleges, mining vocational training in Odisha, diploma mining approved by dgms, mining diploma colleges under dgms, Best b.tech mining college in India, Best b.tech mining college in Odisha, Best b.tech mining college in Orissa, top b.tech mining college in Odisha, top b.tech mining college in Orissa, top 10 b.tech mining college in Odisha, top ten b.tech mining college in Orissa, top 20 b.tech mining college in Odisha top 20 b.tech mining college in India, top 20 b.tech mining college in Orissa, best b.tech mining college in India, best 10 b.tech mining college in Odisha, best 10 b.tech mining college in Orissa, best 20 b.tech mining college in Orissa, best 100 b.tech mining college in India, top 100 b.tech mining college in India, mining engineering degree College in Odisha, B-Tech mining engineering College in orissa, Odisha mining engineering College, mining engineering degree college in India, Degree Engineering College at Angul, Engineering College Angul, Angul Engineering College, College of Engineering,top 10 autonomous college in odisha,Top 10 private b.tech mining college in odisha,Top 20 private batch mining college in odisha, Top 30 private batch mining college in odisha, Best 10 private batch mining college in odisha, Best 20 private b.tech mining college in odisha, Best 30 private b.tech mining college in odisha, Top 10 private Diploma mining college in odisha, Top 20 private Diploma mining college in odisha, Top30 private diploma mining college in odisha, Best 10 private Diploma mining college in odisha, Best20 private b.tech mining college in odisha, Best30 private Diploma mining college in odisha, Top 10 private b.tech mining Engineering college in odisha, Top 20 private b.tech mining Engineering college in odisha, Top 30 private b.tech mining Engineering college in odisha, Best 10 private b.tech mining Engineering college in odisha, Top 10 private b.tech mining Engineering college in Orissa, Top 20 private b.tech mining Engineering college in Orissa, Best 10 private b.tech mining Engineering college in Orissa, Top 10 private Diploma mining Engineering college in odisha, Top 20 private Diploma mining Engineering college in odisha, Top 30 private Diploma mining Engineering college in odisha, Top 10 private Diploma mining Engineering college in Orissa, Top 20 private Diploma mining Engineering college in Orissa, Top 30 private Diploma mining Engineering college in odisha,Best Mining Institute in Odisha, Best Mining Diploma Institute in Odisha, Best Mining Diploma Institute in Orissa, Best Mining Institute in Orissa, Top Mining Institute in Odisha, Best Diploma Mining Institute in Odisha, Best Mining Institute in Orissa, Best Mining Degree Engineering college Odisha, Best Mining Degree Engineering college Orissa, Top Mining Degree Engineering college Odisha, Top Mining Degree Engineering college Orissa, Best Mining B.Tech Engineering college Odisha, Best Mining Degree Engineering college Orissa, Best Mining Degree B.Tech Engineering college Odisha, Best Mining Degree B.Tech Engineering college Odisha, Best Mining Degree Engineering college Orissa, list of odisha btech college, list of Orissa b.tech college, list of odisha b.tech mining college, list of odisha diploma mining college, list of odisha b.tech mining college, list of Orissa b.tech mining college, list of odisha Diploma mining college, list of b.tech mining Institute in Orissa, list of b.tech mining Institute in Odisha, list of Diploma mining Institute in Orissa, list of Degree mining Institute in Orissa, AICTE approved Mining Degree college in Odisha, AICTE approved Mining Degree college in Orissa, AICTE approved Mining Diploma college in Odisha, AICTE approved Mining Diploma college in Orissa, AICTE approved Mining Degree college in Odisha, AICTE approved Mining Degree college in Orissa, SCTEVT Mining Diploma college in Odisha, SCTEVT Mining Diploma college in Orissa, BPUT Affiliated Mining Degree college in Odisha, , BPUT Affiliated Mining Degree college in Orissa, BPUT Affiliated Mining B.Tech college in Odisha, , BPUT Affiliated Mining Degree college in Orissa, top b tech mining colleges in india, top Degree mining colleges in india, Best b tech mining colleges in india, Best Degree mining colleges in india, top10 b tech mining colleges in india, top20 b tech mining colleges in india, top b tech mining engineering colleges in india, Best b tech mining Engineering colleges in india, top10 b tech mining engineering colleges in india, top20 b tech mining engineering colleges in india. No.1 b tech mining Engineering college in india, No.1 b tech mining Engineering college in Odisha, No.1 b tech mining Engineering college in Orissa, No.1 b tech mining Engineering college in india.admission in B.tech Mining Engineering, admission in B.tech Mining degree Engineering, admission in Private B.tech Mining degree Engineering, admission in private B.tech Mining degree Engineering, admission in B.tech Mining degree Engineering in India, admission in B.tech Mining degree Engineering in Odisha, Admission in Diploma Mining Engineering, Admission in Diploma Mining Engineering in India, Admission in Diploma Mining Engineering in Odisha, Admission in best Diploma Mining Engineering in India, Admission in best Diploma Mining Engineering in Odisha, Admission in best Diploma Mining Engineering in Orissa, Admission in top Diploma Mining Engineering in India, Admission in top Diploma Mining Engineering in India, Admission in best Diploma Mining Engineering in India, Admission in top Diploma Mining Engineering in India, Admission intop10 Diploma Mining Engineering in Orissa, Admission in top10 Diploma Mining Engineering in India, Admission in top20 Diploma Mining Engineering in India, Admission in top20 Diploma Mining Engineering in Odisha, Admission in top20 Diploma Mining Engineering in Odisha, Mining Engineering course in odisha, Mining Engineering course in Orissa, Mining Engineering course in India, Mining Engineering Degree course in odisha, Mining Engineering degree course in Orissa, Mining Engineering degree course in Orissa, Mining Engineering b.tech course in odisha, Mining Engineering b.tech course in Orissa, Mining Engineering b.tech course in India, Mining Engineering diploma course in odisha, Mining Engineering Diploma course in orissa, Mining Engineering Diploma course in India, Best Mining Engineering Degree course in odisha, Best Mining Degree Engineering course in India, Best Mining Degree Engineering course in Odisha, Best Mining Degree Engineering course in Orissa, Top Mining Degree Engineering course in India, Top Mining B.Tech Engineering course in India,Top Mining B.tech Engineering course in Odisha, Best Mining B.tech Engineering course in Orissa, Best Mining M.Tech Engineering course in India, Best Mining M.Tech Engineering course in Odisha, Best Mining M.Tech Engineering course in Orissa, Top Mining M.Tech Engineering course in India, Top Mining M.Tech Engineering course in Odisha, Top Mining M.Tech Engineering course in Orissa, Best Mining M.Tech Engineering college in India, Best Mining M.Tech Engineering college in Odisha,Best Mining M.Tech Engineering college in India, Top Mining M.Tech Engineering college in Orissa. Top Mining b.Tech Engineering Placement in India, Top Mining b.Tech Engineering Placement in Odisha, Top Mining b.Tech Engineering Placement in Orissa, Best Mining b.Tech Engineering Placement in India, Best Mining b.Tech Engineering Placement in Odisha, Best Mining b.Tech Engineering Placement in Orissa, Best Mining b.Tech Engineering Faculty in India, Best Mining b.Tech Engineering Faculty in Odisha, Best Mining b.Tech Engineering Faculty in Orissa, Best Mining b.Tech Engineering Faculty in India, Top Mining b.Tech Engineering Faculty in India, Top Mining b.Tech Engineering Faculty in Odisha, Top Mining b.Tech Engineering Faculty in Orissa, Best Mining Diploma Engineering Faculty in India, Best Mining Diploma Engineering Faculty in Odisha, Best Mining Diploma Engineering Faculty in Orissa, Top Mining Diploma Engineering Faculty in Odisha, Best Mining Diploma Engineering Faculty in Orissa, Best Mining Diploma Engineering Faculty in India, Best Mining Diploma Engineering Placement in Odisha, Best Mining Diploma Engineering Placement in Orissa, Best Mining Diploma Engineering Placement in India,Top Mining Diploma Engineering Placement in Odisha, Top Mining Diploma Engineering Placement in Orissa, Top Mining Diploma Engineering Placement in India, Top Mining Diploma Engineering Laboratory in Odisha, Top Mining Diploma Engineering Laboratory in Orissa, Top Mining Diploma Engineering Laboratory in India, Best Mining Diploma Engineering Laboratory in India, Best Mining Diploma Engineering Laboratory in Odisha, Best Mining Diploma Engineering Laboratory in Orissa, Best Mining b.tech Engineering Laboratory in India, Best Mining b.tech Engineering Laboratory in Odisha, Best Mining b.tech Engineering Laboratory in Orissa, Top Mining b.tech Engineering Laboratory in India, Top Mining b.tech Engineering Laboratory in Odisha, Top Mining b.tech Engineering Laboratory in Orissa, Top Mining M.tech Engineering Laboratory in India, Top Mining M.tech Engineering Laboratory in Odisha, Top Mining M.tech Engineering Laboratory in Orissa, Top Mining b.tech Engineering Infrastructure in India, Top Mining b.tech Engineering Infrastructure in Odisha, Top Mining b.tech Engineering Infrastructure in Orissa, Best Mining b.tech Engineering Infrastructure in India, Best Mining b.tech Engineering Infrastructure in Odisha, Best Mining b.tech Engineering Infrastructure in Orissa, Top Mining Diploma Engineering Infrastructure in India, Top Mining Diploma Engineering Infrastructure in India, Top Mining b.tech Engineering Infrastructure in Odisha, Top Mining b.tech Engineering Infrastructure in Odisha,Best Mining diploma Institute in Odisha, Best Mining diploma Institute in Orissa, Best Mining diploma Institute in Jharkhand, Best Mining diploma Institute in West Bengal, Best Mining diploma Institute in Bihar, Best Mining diploma Institute in CG. Top Mining diploma Institute in Orissa, Top Mining diploma Institute in Jharkhand,Top Mining diploma Institute in West Bengal, Top Mining diploma Institute in Bihar, Top Mining diploma Institute in CG. No.1 Mining diploma Institute in Orissa, No.1 Mining diploma Institute in Jharkhand, No1 Mining diploma Institute in West Bengal, No1 Mining diploma Institute in Bihar, No1 Mining diploma Institute in CG., No1 Mining diploma Institute in Dhanbad, No1 Mining diploma Institute in Asansol, dgms approved mining colleges in odisha, kalinga institute of mining engineering and technology odisha, orissa school of mining engineering keonjhar, odisha, dgms approved mining colleges in rajasthan, mining engineering college in Udaipur, mining engineering college in Jaipur, dgms approved mining engineering college in india, dgms approved mining engineering college in Odisha, dgms approved mining engineering college in Orissa. Lamp Handling course in Odisha, . Lamp Handling course in Orissa, . Lamp Handling course in India, . Lamp Handling course in Jharkhand, . Lamp Handling course in CG, . Lamp Handling course in West Bengal, . Lamp Handling course in Dhanbad, . Lamp Handling course in Bokaro, . Lamp Handling course in Ranchi, . Lamp Handling course in Asansol, . Lamp Handling course in Korba,Chatisgarh, Gas Testing course in Odisha, . Gas Testing course in Orissa, . Gas Testing course in India, Gas Testing course in Jharkhand Gas Testing course in CG, Gas Testing course in West Bengal Gas Testing course in Dhanbad, Gas Testing course in Bokaro, Gas Testing course in Ranchi, Gas Testing course in Asansol, Gas Testing course in Korba,Chatisgarh, First Aid course in Odisha, First Aid course in Orissa, First Aid course in India First Aid course in Jharkhand , First Aid course in CG, First Aid course in West Bengal First Aid course in Dhanbad, First Aid course in Bokaro, First Aid course in Ranchi, First Aid course in Asansol, Lamp Handling Course in Engineering College, Gas Testing Training Center, Gas Testing Training Center in Engineering college, First aid Training Center, First aid Training Center in an Engineering College, First aid Training Center and Certificates, First aid Training Center and Certificates in an engineering college,No1 mining Diploma college, ,No1 mining Diploma college in India, ,No1 mining Diploma college in Odisha, ,No1 mining Diploma college in Jharkhand, ,No1 mining Diploma college in Buhar, ,No1 mining Diploma college in Chatisgarh, ,No1 mining Diploma college in West Bengal, ,No1 mining Diploma college in eastern region, No1 mining b.tech college, ,No1 mining b.tech college in India, ,No1 mining b.tech college in Odisha, ,No1 mining b.tech college in Jharkhand, ,No1 mining b.tech college in Buhar, ,No1 mining b.tech college in Chatisgarh, ,No1 mining b.tech college in West Bengal, ,No1 mining b.tech college in eastern region, AICTE approved mining college in India, AICTE approved mining college in India, AICTE approved mining college in Odisha, AICTE approved mining college in Orissa, AICTE approved mining college in Jharkhand, AICTE approved mining college in Chattisgarh, AICTE approved mining college in West Bengal, AICTE approved mining college in Asansol, AICTE approved mining college in Raniganj, AICTE approved mining college in Bihar, AICTE approved mining college in Dhanbad, AICTE approved mining college in Bokaro, AICTE approved mining college in Ranchi, AICTE approved mining college in India, AICTE approved mining college in Jamshedpur, AICTE approved mining college in Korba, AICTE approved mining college in India.,where to study mining engineering in Odisha, where to study mining engineering in India, where to study mining engineering in Orissa, where to study mining engineering college in Odisha, average salary for a mining engineer, Mining Engineering Colleges in India, study of mining engineering in a best Institutes, post graduate course in mining engineering, Bachelor of Technology in Mining Engineering, Mastewr of Technology in Mining Engineering, graduate mining engineering courses, starting salary for a mining engineer in india, starting salary for a mining engineer in Abroad, starting salary for a mining engineer in Bihar, starting salary for a mining engineer in Jharkhand, starting salary for a mining engineer in Chattisgarh, starting salary for a mining engineer in west Bengal, starting salary for a mining engineer in MP, Mining Engineer Job profiles in India, Mining Engineer Job profiles in Odisha, Mining Engineer Job profiles in Orissa, Mining Engineer Job profiles in Jharkhand, Mining Engineer Job profiles in Chattisgarh, Mining Engineer Job profiles in Westbengal, Mining Engineer Job profiles in Assam,Admission in mining engineering college 2019, 2019 Minining engineering admission in Odisha, 2019 Minining engineering admission in Orissa, 2019 Minining engineering admission in Jharkhand, 2019 Minining engineering admission in CG, 2019 Minining engineering admission in MP, 2019 Minining engineering admission in WB, 2019 Minining engineering admission in India, 2019 Minining engineering admission in Bihar, 2019 Minining engineering admission, 2019 Minining engineering admission in a best college, 2019 Minining engineering admission in a top college, 2019 Minining engineering admission in top ranked college,Top ranked mining college in Odisha, 2019 Minining engineering admission in Orissa, Top ranked mining college in Odisha 2019, Top ranked mining college in India 2019, Top ranked mining college in Orissa 2019, Top ranked mining college in Jharkhand, Top ranked mining college in Chattisgarh, Top ranked mining college in Westbengal, Top ranked mining college in Asansol, Top ranked mining college in Raniganj, Top ranked mining college in Korba, Top ranked mining college in Bhubaneswar, Top ranked mining college near Bhubaneswar, Top mining colleges Fees, Ranking, Admission and Placement in Odisha, Top mining colleges Fees, Ranking, Admission and Placement in India, Top mining colleges Fees, Ranking, Admission and Placement in Orissa, Top mining colleges Fees, Ranking, Admission and Placement in Jharkhand, Top mining colleges Fees, Ranking, Admission and Placement in CG, Top mining colleges Fees, Ranking, Admission and Placement in MP, Top mining colleges Fees, Ranking, Admission and Placement in Assam, Top mining colleges Fees, Ranking, Admission and Placement in Westbengal, Top mining colleges Fees, Ranking, Admission and Placement in WB, Top mining colleges Fees, Ranking, Admission and Placement in Chattisgarh, Top mining colleges Fees, Ranking, Admission and Placement in Raipur, Top mining colleges Fees, Ranking, Admission and Placement in Korba, Top mining colleges Fees, Ranking, Admission and Placement in Bilaspur, Top mining colleges Fees, Ranking, Admission and Placement in sighroli, Top mining colleges Fees, Ranking, Admission and Placement in Patna, Top mining colleges Fees, Ranking, Admission and Placement in ranchi, Top mining colleges Fees, Ranking, Admission and Placement in Jamshedpur, Top mining colleges Fees, Ranking, Admission and Placement in Bokaro, Top mining colleges Fees, Ranking, Admission and Placement in Dhanbad. 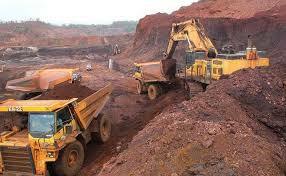 Top ranked mining college in Bokaro, Top ranked mining college in Dhanbad, Top ranked mining college in Jamsedpur, Top ranked mining college in Ranchi, Top ranked mining college in asansol, Top ranked mining college in Raniganj, Top ranked mining college in West Singhbhum, private mining diploma college, private mining diploma college in Odisha, private mining diploma college in Orissa, private mining diploma college in India, private mining diploma college in Jharkhand, private mining diploma college in Bokaro, private mining diploma college in Dhanbad, private mining diploma college in Ranchi, private mining diploma college in Jamshedpur, private mining diploma college in West Bengal, private mining diploma college in asansol, private mining diploma college in Raniganj, private mining diploma college in West Singhbhum, private mining diploma college in CG, private mining diploma college in MP, private mining diploma college in Madhyapradesh. private mining B.Tech college, private mining B.Tech college in India, private mining B.Tech college in Odisha, private mining B.Tech college in Bhubaneswar, private mining B.Tech college in CG, private mining B.Tech college in MP, private mining B.Tech college in WB, private mining B.Tech college in Asansol, private mining B.Tech college in Raniganj, private mining B.Tech college in ranchi, private mining B.Tech college in Jamshedpur, private mining B.Tech college in bokaro, private mining B.Tech college in Dhanbad, private mining B.Tech college in Korba, private mining B.Tech college in Bilaspur, private mining B.Tech college Raipur. 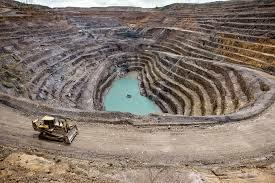 private mining Degree college, private mining Degree college in india, private mining Degree college in Odisha, private mining Degree college in Dhanbad, private mining Degree college in Bokaro, private mining Degree college in Jamshedpur, private mining Degree college in CG, private mining Degree college in Chattisgarh, private mining Degree college in WB, private mining Degree college in West Bengal, private mining Degree college in Korba, private mining Degree college in Bhubaneswar, private mining Degree college in bbsr,3 years diploma engineering course in mining engineering, 3 years diploma engineering course in mining engineering in India, 3 years diploma engineering course in mining engineering in Odisha, 3 years diploma engineering course in mining engineering in Orissa, 3 years diploma engineering course in mining engineering in India, 3 years diploma engineering course in mining engineering in Dhanbad. 3 years diploma engineering course in mining engineering in Bokaro, 3 years diploma engineering course in mining engineering in ranchi, 3 years diploma engineering course in mining engineering in Jamshedpur, 3 years diploma engineering course in mining engineering in WestBengal, 3 years diploma engineering course in mining engineering in CG, 3 years diploma engineering course in mining engineering in MP, 3 years diploma engineering course in mining engineering in a best college. 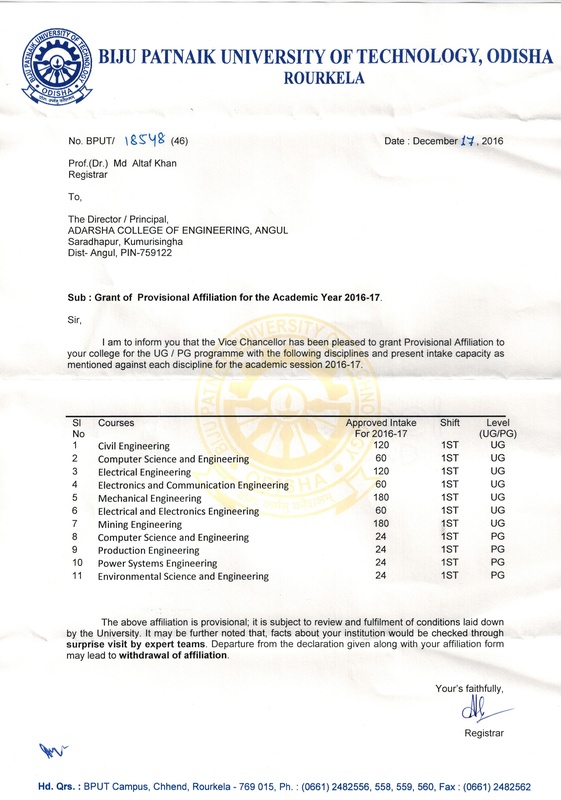 best placement in mining engineering college, best placement in mining engineering college in India, best placement in mining engineering college in Odisha, best placement in mining engineering college in Orissa, best placement in mining engineering college in Jharkhand, best placement in mining engineering college in Bokaro, best placement in mining engineering college in dhanbad, best placement in mining engineering college in Ranchi, best placement in mining engineering college in Korba, best placement in mining engineering college in CG, best placement in mining engineering college in WB, best placement in mining engineering college in Bihar, best placement in mining engineering college in patna, best placement in mining engineering college in Asansol, best placement in mining engineering college in raniganj, best placement in mining engineering college in MP. Top Quality education in mining engineering, Top Quality education in mining engineering in India.Best placement in diploma Engineering college, Top placement in diploma Engineering college, No1 placement in diploma Engineering college, Top10 placement in diploma Engineering college, Top20 placement in diploma Engineering college, Top30 placement in diploma Engineering college, top50 placement in diploma Engineering college, Top100 placement in diploma Engineering college, Best placement in B.Tech Engineering college, Top placement in B.Tech Engineering college, No1 placement in B.Tech Engineering college, Top10 placement in B.Tech Engineering college, Top20 placement in B.Tech Engineering college, Top30 placement in B.Tech Engineering college, top50 placement in B.Tech Engineering college, Top100 placement in B.Tech Engineering college, Engineering college, Best placement in Degree Engineering college, Top placement in Degree Engineering college, No1 placement in Degree Engineering college, Top10 placement in Degree Engineering college, Top20 placement in Degree Engineering college, Top30 placement in Degree Engineering college, top50 placement in Degree Engineering college, Top100 placement in Degree Engineering college, Best Faculty in diploma Engineering college, Top Faculty in diploma Engineering college, No1 Faculty in diploma Engineering college, Top10 Faculty in diploma Engineering college, Top20 Faculty in diploma Engineering college, Top30 Faculty in diploma Engineering college, top50 Faculty in diploma Engineering college, Top100 Faculty in diploma Engineering college,Best Faculty in B.Tech Engineering college, Top Faculty in B.Tech Engineering college, No1 Faculty in B.Tech Engineering college, Top10 Faculty in B.Tech Engineering college, Top20 Faculty in B.Tech Engineering college, Top30 Faculty t in B.Tech Engineering college, top50 Faculty t in B.Tech Engineering college, Top100 Faculty in B.Tech Engineering college, Engineering college, Best Faculty in Degree Engineering college, Top Faculty in Degree Engineering college, No1 Faculty t in Degree Engineering college, Top10 Faculty in Degree Engineering college, Top20 Faculty in Degree Engineering college, Top30 Faculty in Degree Engineering college, top50 Faculty in Degree Engineering college, Top100 Faculty in Degree Engineering college, Best HostelFacilities in diploma Engineering college, Top HostelFacilities t in diploma Engineering college, No1 HostelFacilities in diploma Engineering college, Top10 HostelFacilities nt in diploma Engineering college, Top20 HostelFacilities in diploma Engineering college, Top30 HostelFacilities in diploma Engineering college, top50 HostelFacilities in diploma Engineering college, Top100 HostelFacilities in diploma Engineering college, Best HostelFacilities t in B.Tech Engineering college, Top HostelFacilities in B.Tech Engineering college, No1 HostelFacilities t in B.Tech Engineering college, Top10 HostelFacilities in B.Tech Engineering college, Top20 HostelFacilities in B.Tech Engineering college, Top30 HostelFacilities in B.Tech Engineering college, top50 HostelFacilities in B.Tech Engineering college, Top100 HostelFacilities in B.Tech Engineering college.Best Mininmum College Fees in diploma Engineering college, Top Mininmum College Fees in diploma Engineering college, No1 College Fees in diploma Engineering college, Top10 Mininmum College Fees in diploma Engineering college, Top20 Mininmum College Fees es t in diploma Engineering college, Top30 Mininmum College Fees in B.Tech Engineering college, top50 Mininmum College Fees t in diploma Engineering college, Top100 Mininmum College Fees in B.Tech Engineering college, Best Mininmum College Fees in diploma Engineering college, Top Mininmum College Fees in B.Tech Engineering college, No1 College Fees in B.Tech Engineering college, Top10 Mininmum College Fees in B.Tech Engineering college, Top20 Mininmum College Fees es t in B.Tech Engineering college, Top30 Mininmum College Fees in B.Tech Engineering college, top50 Mininmum College Fees t in B.Tech Engineering college, Top100 Mininmum College Fees in B.Tech a Engineering college, Best Bus facilities in diploma Engineering college, Top Bus facilities in diploma Engineering college, No1 Bus facilities in diploma Engineering college, Top10 Bus facilities in diploma Engineering college, Top20 Bus facilities t in diploma Engineering college, Top30 Bus facilities in diploma Engineering college, top50 Bus facilities t in diploma Engineering college, Top100 Bus facilities in B.Tech Engineering college, Best Bus facilities in B.Tech Engineering college, Top Bus facilities in B.Tech Engineering college, No1 Bus facilities in B.Tech Engineering college, Top10 Bus facilities in B.Tech Engineering college, Top20 Bus facilities t in B.Tech Engineering college, Top30 Bus facilities in B.Tech Engineering college, top50 Bus facilities t in B.Tech Engineering college, Top100 Bus facilities in B.Tech Engineering college,,Best Faculty in M.Tech Engineering college, Top Faculty in M.Tech Engineering college, No1 Faculty in M.Tech Engineering college, Top10 Faculty in B.Tech Engineering college, Top20 Faculty in B.Tech Engineering college, Top30 Faculty t in B.Tech Engineering college, top50 Faculty t in M.Tech Engineering college, Top100 Faculty in M.Tech Engineering college, Engineering college, Best Faculty in M.Tech Degree Engineering college, Top Faculty i M.Tech n Degree Engineering college, No1 Faculty t in M.Tech Degree Engineering college, Top10 Faculty in M.Tech Degree Engineering college, Top20 Faculty i M.Tech n Degree Engineering colle M.Tech ge, Top30 Faculty in M.Tech Degree Engineering college, top50 Faculty in M.Tech Degree Engineering college, Top100 Faculty in Degree Engineering college,Best Result in diploma Engineering college, Top Result in diploma Engineering college, No1 Result in diploma Engineering college, Top10 Result in diploma Engineering college, Top20 Result in diploma Engineering college, Top30 Result in diploma Engineering college, top50 Result in diploma Engineering college, Top100 Result in diploma Engineering college, Best Result in B.Tech Engineering college, Top Result in B.Tech Engineering college, No1 Result in B.Tech Engineering college, Top10 Result in B.Tech Engineering college, Top20 Result in B.Tech Engineering college, Top30 Result t in B.Tech Engineering college, top50 Result in B.Tech Engineering college, Top100 Result in B.Tech Engineering college, Engineering college, Best Result in Degree Engineering college, Top Result in Degree Engineering college.Admission through OJEE2019 in a best Mining engineering college of odisha, Admission through OJEE2019 in a Top Mining engineering college of odisha, Admission through OJEE2019 in Top10 Mining engineering college of odisha, Admission through OJEE2019 in a No1 Mining engineering college of odisha, Admission through OJEE2019 in Top20 Mining engineering college of odisha, Admission in B.Tech through OJEE2019 in a best Mining engineering college of odisha, Admission in B.Tech through OJEE2019 in a Top Mining engineering college of odisha, Admission in B.Tech through OJEE2019 in a No1 Mining engineering college of odisha, Admission in Mining M.Tech through OJEE2019 in a best engineering college of odisha, Admission in M.Tech Mining through OJEE2019 in a Top engineering college of odisha, Admission in M.Tech Mining through OJEE2019 in a No1 engineering college of odisha, Admission in Mining Diploma through DET in a best Engineering college of Odisha, Mining diploma admission 2019 odisha, Mining diploma entrance test 2019 odisha, Admission in Mining Diploma through DTET in a best Engineering college of Odisha, Admission in Diploma Mining a through DTET counseling in a Top Engineering college of Odisha, Admission in Diploma through DTET counseling in a No1 Mining Engineering college of Odisha, Admission in Diploma through DTET counseling Mining Engineering college of Odisha, Admission in Diploma through DTET counseling in a bestEngineering college of Odisha, Admission in Diploma through DTET counseling in a Top Mining Engineering college of Odisha, Admission in Diploma through DTET counseling in top10 Mining Engineering college of Odisha, Admission in Diploma through DTET counseling in a NO1 Mining Engineering college of Odisha, Mining Engineering college under SCTE&VT,Admission through OJEE2019 counseling in a best Mining engineering college of odisha, Admission through OJEE2019 counseling in a Top Mining engineering college of odisha, Admission through OJEE2019 counseling in Top10 Mining engineering college of odisha, Admission through OJEE2019 in a No1 Mining engineering college of odisha, Admission through OJEE2019 counseling in Top20 Mining engineering college of odisha, Admission in B.Tech through OJEE2019 in a best Mining engineering college of odisha, Admission in B.Tech through OJEE counseling 2019 in a Top Mining engineering college of odisha, Admission in B.Tech through OJEE counseling 2019 in a No1 Mining engineering college of odisha.